Bitcoin Pushing Resistance As Transactions Ramp Up, Are We Set for A Break Out? 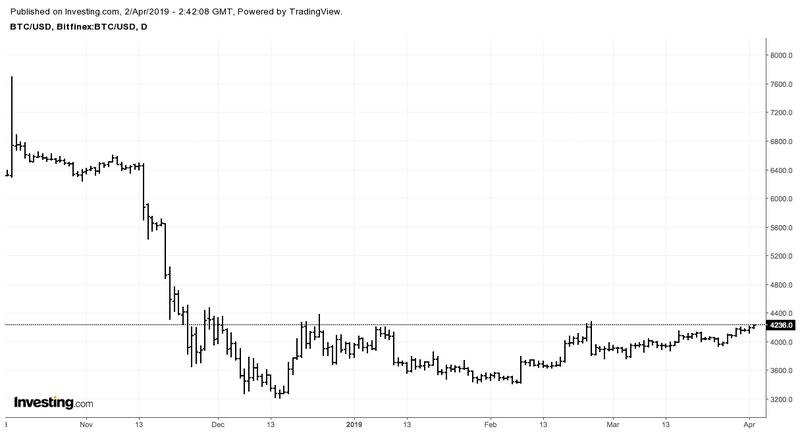 Bitcoin has been pushing higher highs and testing the 4200 resistance again, will we see a breakout finally? Global market-cap has continued to rise again, up to $147bln today - with BTC dominance remaining at the 50% level. 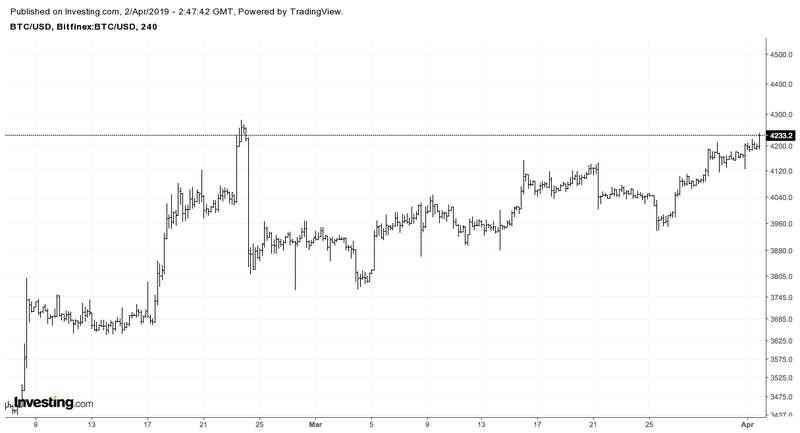 BTCUSD price action has been rising consistently during March and is now approaching the last high from back in February. Crypto markets are heating up in general with Alt-coins seeing frequent gains during the past weeks, today IOST is the leading gainer - with a 23% rally over the last 24 hours. Bitcoin transactions have spiked up to near the previous all time highs of 420k, with the current transactions at 393k per day, with the transactions per second (TPS) wavering between 3 to 4 TPS currently. Although over the past months what has become more frequent is large spikes in transactional activity, with a record spike only a few days ago hitting a high of 29 TPS. With the advent of more easy access to Bitcoin ATMs, Casa Node for lightning network and integration with popular apps like cash.app, it seems adoption is primed to grow during 2019. As Bitcoin scales larger and becomes more prevalent in society, we can expect to see even more spikes of new highs in transactions per second. Whilst at the same time we know the halving is coming soon in 2020, everything is setting up nicely for a very exciting time for Bitcoin believers and investors in the space! 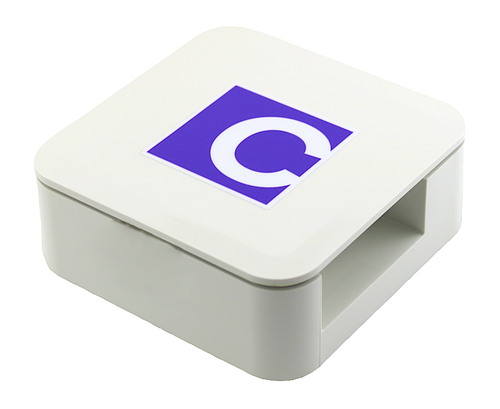 Casa node enables you to setup lightning easily from your home office or store. If you want to give lightning a try, but have not setup a node before - take a look at using Casa for a simple solution, no coding is required!